The Bras Basah district presently houses several museums and national monuments, some of which were previously top educational institutions. Former St Joseph Institution (SJI), Tao Nan School and Convent of the Holy Infant Jesus (CHIJ) have all been conserved and reused as social landmarks. Other schools that were in the area have not been forgotten. St Anthony’s Convent, Catholic High and Anglo-Chinese School were all located within this area as well. What were school days like in this area in the past? 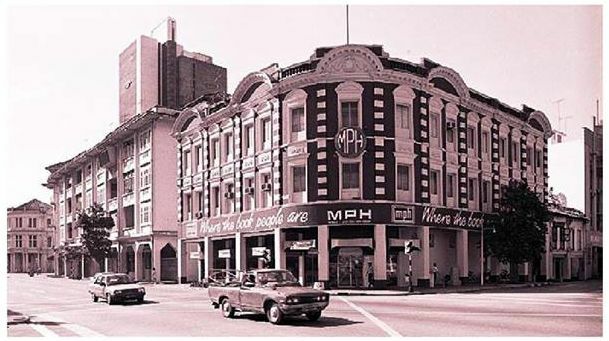 What do people remember about studying in the Bras Basah area and some of the popular hangouts for the students – like the Magnolia Milk Bar at Capitol Cinema? The Indian Rojak stalls next to the St Joseph’s Institution school field? The row of bookshops along Bras Basah Road? The former National Library Building? What were some of the activities that took place on the streets around their schools? This CAKAP HERITAGE session is organised by SHS and URA for past students of the old schools in Bras Basah to get together and also to those who wish to relive the past. Share your memories with us during the session and keep them alive for future generations! We will transcribe and record your memories in order to share them via URA’s Conservation Portal. We also encourage you to share old photos of you and your friends from your old school days with us and other participants.